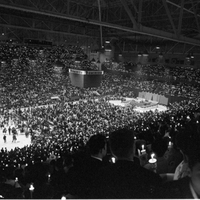 Image of parishioners sitting and standing at Maple Leaf Gardens, holding lit candles. The ice hockey rink's lines and circles are clearly visible. 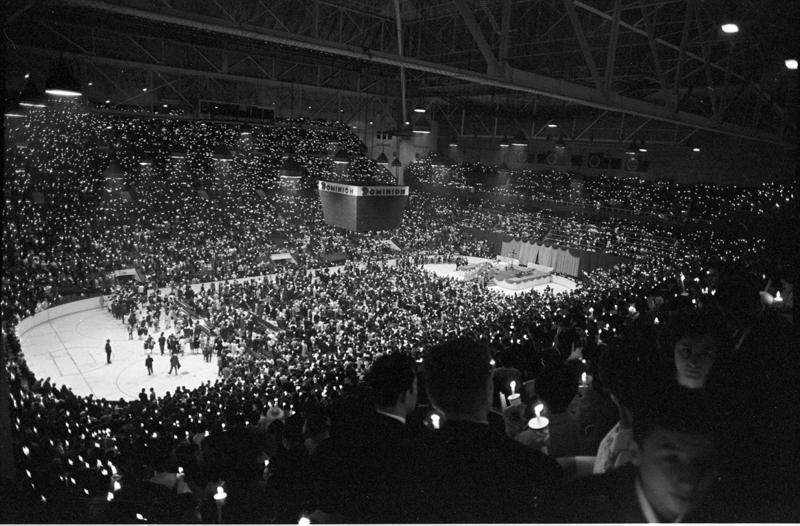 Norm Betts, “Greek Groups : Greek Orthodox Easter,” York University Libraries | Clara Thomas Archives & Special Collections online exhibits, accessed April 21, 2019, http://archives.library.yorku.ca/items/show/3837.